Avasant was recently recognized as a Global Sourcing Association (GSA) UK Top Performer 2018 in the Support Community Greats – Consultants category for Strategic Sourcing. Announced at GSA UK’s Annual Dinner and Professional Awards at the Hilton Manchester Deansgate on 24th May 2018; the achievement was revealed in conjunction with the full industry Top Performers Index. Avasant is proud to be recognized as a Global Sourcing Association (GSA) UK Top Performer 2018 in the Support Community Greats – Consultants category for Strategic Sourcing. Announced at GSA UK’s Annual Dinner and Professional Awards at the Hilton Manchester Deansgate on 24th May 2018, the achievement was revealed in conjunction with the full industry Top Performers Index. Adrian Quayle (Managing Partner, Europe, Avasant) was in attendance to accept the award. 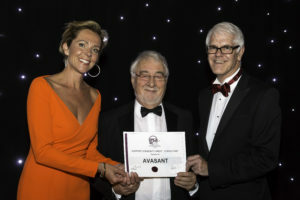 “Avasant were chosen as a GSA UK Top Performer due to their excellent record of delivering value and excellence in sourcing partnerships; the overwhelming support for Avasant from the industry poll made them impossible to leave off this illustrious list,” remarked GSA UK’s CEO, Kerry Hallard. 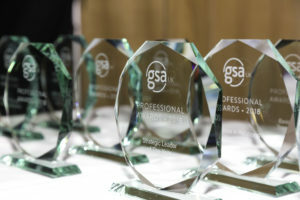 GSA’s Top Performers programme was opened to voting in February 2018 as part of a commitment to promote and reward best practice in strategic sourcing. The programme was developed to celebrate the strategic sourcing elite who have made exceptional contributions to the positive reputation of sourcing and helped shape the current and future state of the global sourcing industry. The Index of Top Performers was derived following a rigorous process including voting, insights, and analysis. Avasant continues to be an industry thought leader with Global CEO Kevin S. Parikh’s newest published book, Digital Singularity: A Case for Humanity, which talks about the opportunities/challenges technology’s omnipresence will pose, how to approach innovation and how to remain competitive in a digital world. Digital Singularity: A Case for Humanity is now available for purchase on Amazon.com.